You'll read stories of famous women you just thought you knew, and discover how God moved in and through them to transform ordinary lives into victorious witnesses for Him. Inspirational insights will lighten your step and your heart will experience a delightful lift when you discover a surprise page that reveals a special message from God to you. Could you use a joyful lift? Does your heart need an infusion of hope? Infectious hope and joy await you in the pages of this beautiful heartlifting book. Your heart will be blessed as you read of famous people you just thought you knew and as you discover how they overcame life's challenges and impacted the world for good and for God. Inspirational insights will refresh your spirit and your heart will be delighted to find a surprise page that reveals a special message from God to you. Youth and vitality are a state of mind and a reflection of the heart. This beautiful book is a tribute to those who may not be "kids" anymore, but who brighten the landscape of life with their youthful exuberance and excitement for living.You will read inspirational stories of well-known men and women who continued to impact our world well beyond the years of their youth. You'll learn surprising details about people you just thought you knew, and you will see that wisdom shines brighter, talent runs deeper, and the wealth of experience is more inspirational in those that are young at heart. 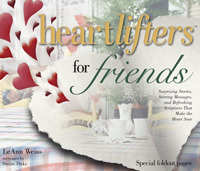 Whether for yourself , a friend, or loved one, the true stories, inspirational messages, and the surprise foldout pages with words of encouragement from God will lift your heart for years to come. Oh that my words were now written! Teachers are so valued and vittal. They bring wisdom, warmth, inspiration, and insight that impact today and the future. The purpose of this book is to convey the care, appreciation, and respect felt for those who wear the title, "teacher".Whether a teacher by profession, parenthood, or influence, this book commemorates the valuable contributions made by teachers of all kinds. 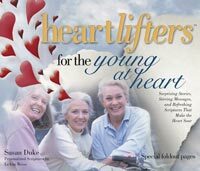 The encouraging true stories, thought provoking messages, seven surprise foldout pages, and the beautiful design of the book, come together to make the perfect gift for yourself or that special teacher. the wings of your heart soar. 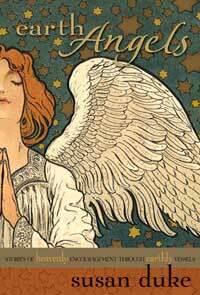 The stories that fill this book are about people who have touched our lives in angelic ways! In each chapter you will read about men and women who step out of their ordinary lives to become extraordinary in their actions and how it has affected others. You will be amazed at their capacity to bring the power of heaven to people on earth. This book of encouragement will bless your soul, and instill in you a "wanting" to be an Earth Angel to others! 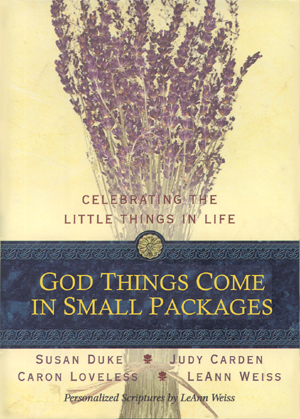 Heavenly treasures awaits those who search for blessings that are wrapped in the smallest and most ordinary packages. Upon finding such a package, we often realize it was the package that found us. May this collection of stories bring to your life the wonder of His providence, the touch of His grace , and the fragrance of His Love. again. 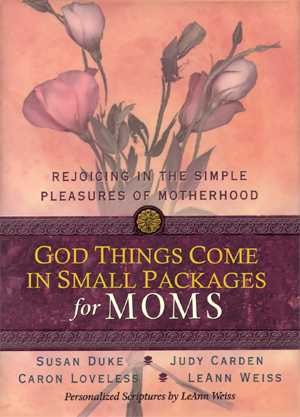 May this collection of stories bring to your life a reminder of the blessings God places in the small, priceless packages of motherhood. Women share a unique bond- a bond that transcends age, race, or status in life. Throughour our journey, women are entrusted with special privileges - creating homes, tending hearts, planring hopes, and harvesting dreams. 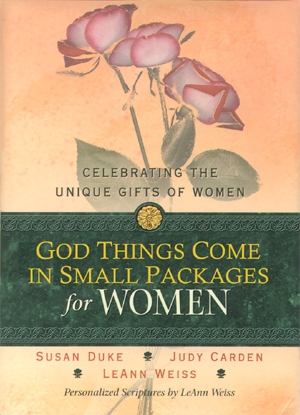 May the pages of this book shine a beacon of God's light upon your heart, inspiring you to celebrate being a woman! pleasures. 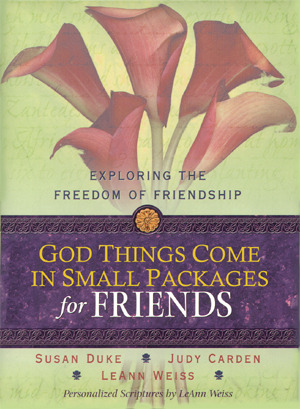 This wonderful book will remind you of the joyous freedom that only friendship can bring. Does life sometimes overwhelm you? Grade "A" guaranteed to touch your heart! inspiring stories. 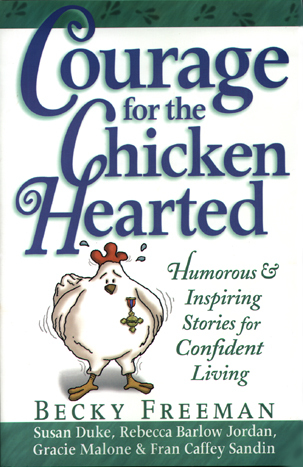 Each chapter of this Grade "A" book is full of encouragement, hope, and laughter. 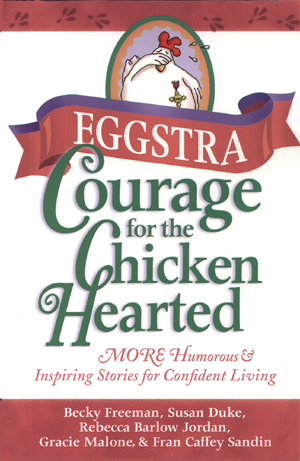 You will feel like a spring chicken ready to fly after reading each heart warming story! Page may be slow to load. Click Here to ORDER any of the books listed! In this deeply personal and compassionate guide, Susan candidly shares her personal story of her son's death and the insights she's gleaned on her journey toward healing. "It's hard to see God's perspective when your heart has been plowed by pain," she writes. "But broken fields are where seeds of hope grow best." Though she still copes with loss, Susan also lives with incredible joy. To all who grieve desperately, she assures: Hope is alive!